Essential oils are 100% natural and safe solutions to everyday issues like headaches, skin issues, owies, cold/flu, digestion, allergies, pain in muscles and joints, and even mood! There is basically an essential oil for EVERYTHING! Essential oils are naturally occurring volatile aromatic compounds found in the seeds, bark, stems, roots, flowers, and other parts of plants. They are natures defense mechanism for plants and cells. 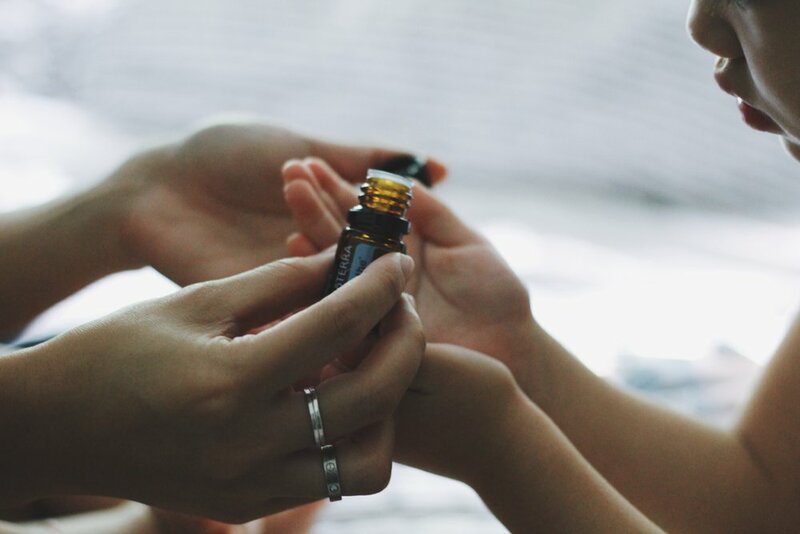 Essential oils are ORGANIC for the plant and us, the part of the plant we get essential oils from is the part that protects and fixes the plant and it'll protect and fix us. dōTERRA created a grading system within their own research facilities to ensure purity and potency. CPTG is dōTERRA's grading system which stands for Certified Pure Therapeutic Grade. These essential oils and products are free of fillers, artificial ingredients and harmful contaminants. dōTERRA essential oils are sourced from a global network of growers to ensure the most pure essential oils. Co-impact Sourcing is one of my favorite parts of dōTERRA oils as these oils are sourced from the place the original plant is indigenous too which ultimately means optimal soil/climate for it to grow and thrive. Since oils are sourced from around the world, dōTERRA supports these communities all around the world. Changing the world with essential oils and natural solutions? I'm in! Essential oils work at the cellular level and protect cells. They are nutrients that penetrate the cell membrane which synthetic chemicals cannot. Essential oils have a unique chemical structure that our body allows to pass directly through skin for immediate systemic response as well. They are highly concentrated. 1 drop = 1 dose, 1 drop is all that is needed to provide a powerful benefit. Essential Oils are also 50-70x more powerful than herbs. As you inhale, essential oil molecules bind to receptor cites going to the limbic area of the brain which regulates: memory, emotions, and hormones. AMAZING!